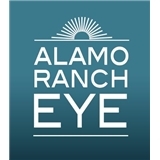 Alamo Ranch Eye (San Antonio) - Book Appointment Online! I saw the other Doctor. He was very nice. I would go back there for my next eye exams. Accessibility and welcoming staff. Everyone was extremely professional, kind, and very friendly.